CipherLab Connection | Sep 2018 - CipherLab Co., Ltd.
Taiwan has been ranked the highest blood donation rate in the world according to the recent report of World Health Organization. 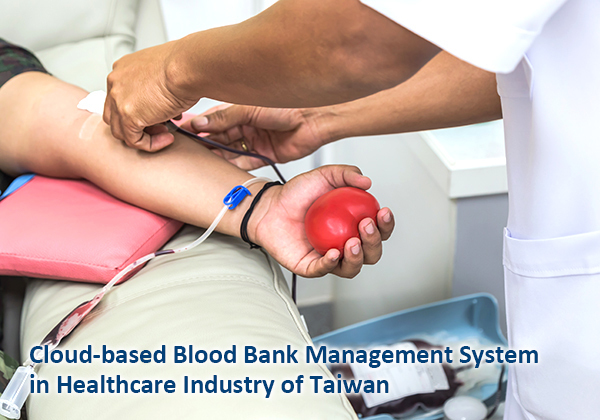 There is a non-profit organization of blood services, established in 1974, who is responsible for the overall distribution of the blood donation, blood test and blood supply of Taiwan. It has 5 blood donation centers in Taipei, Hsinchu, Taichung, Tainan and Kaohsiung. The mission of the Foundation is to practice a non-remunerated blood donation system, conduct donation and supply of blood, improve the quality of blood for medical use, protect the rights of patients and enhance the health of the citizens. Thus, the Foundation faced the challenges to centralizing the blood bank management information of those blood donation centers that had its own blood bank management system. Each blood donation center had to manually manage the blood bags and update the data to other centers through phone calls. 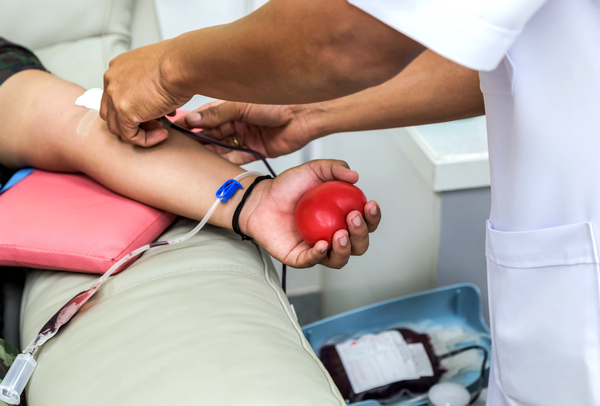 When any of donation centers is lacking a blood-type, it was difficult to get mutual scheduling support from other donation centers. The most challenging task was to integrate those individual databases into a single system with cloud-based management that was in line with international safety standards of AABB and IBST organizations. The Foundation had opened a large-scale bid of about 500 million to establish a nationwide of cloud-based management for blood bank system. After years of searching a solution, it partnered with CipherLab this year. CipherLab’s RS30 series with Blood system has successfully been deployed to all the blood donation buses for scanning the barcodes on donors' application forms and blood bags. Then, it uploaded all the donors’ information to the cloud-based database. At same time, CipherLab 1500P bundled with tablet has also been used for cloud-based database of blood bank management in the donation centers. The solutions have been formally launched to the 5 blood donation centers and donation buses in July. The Blood system cloud management has been running stable lately. An electronic equipment company from Spain offers customers a wide range of products including LED, lights, tools and small household appliances to the market for electronics and DIY stores. It imports and distributes electronic equipment and hardware to more than 13,000 clients in Spain and Portugal. It owns a big logistics distribution center to satisfy the growing needs and shipping orders. The distribution center occupies 8,000 m2 and is constructed with seven docks with a storage capacity of 14,000 pallets to fulfill a 24-hour delivery service. The company wanted to upgrade its data collection process with reliable mobile solutions. Working with its IT partner, the company assessed the best devices on the market by running demos and on-site tests. It selected CipherLab’s 9700. 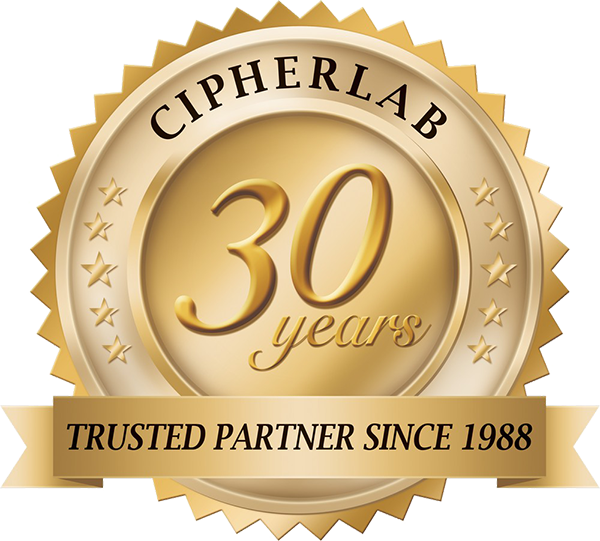 CipherLab and its IT partner collaboratively provided expertise across planning, integration, deployment and support to the company. Equipped with near/far 2D imager, CipherLab 9700s help to track goods through the warehouse, from incoming products, put away, in-stock movement, picking and shipping. The 9700s are wirelessly connected to the company’s WMS software. All the warehouse activities can be immediately monitored and information exchanged in real time at back office while workers are at on-site in warehouse. The CipherLab’s Terminal Emulator greatly saves time in developing and creating easy-to-use Terminal Emulation applications that seamlessly streamline processes and improve worker productivity. The 9700 is ideally suited to this company’s warehouse requirements. The 9700 is robust and reliable with IP65 protection. Workers could also make use of 9700’s USB snap on kit, 4 slot battery charger and belt holster to facilitate their works. Product data from scanned barcodes by the 9700 is transferred through the company warehouse’s wireless network to ensure full product traceability, enhance quality control and fulfill the entire supply chain. The electronic equipment company found CipherLab 9700 easy to use and can work quickly and efficiently. 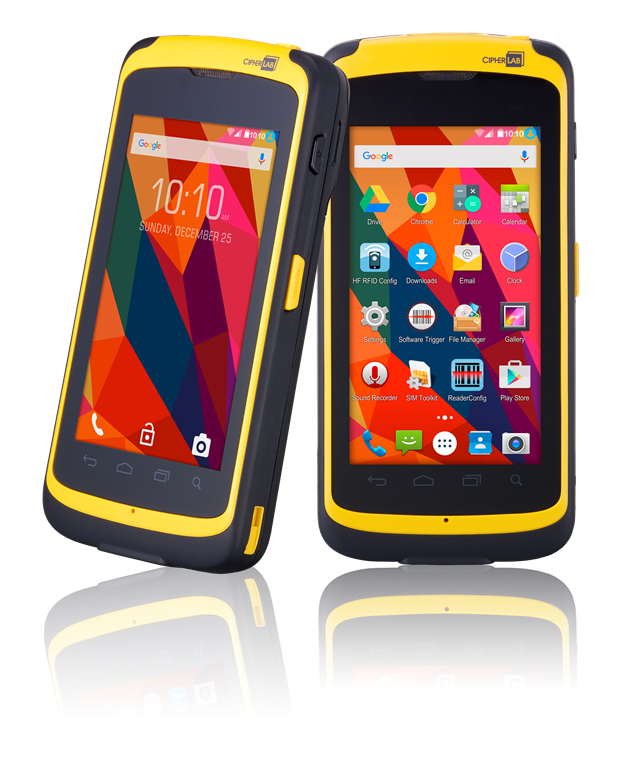 CipherLab is pleased to announce that the RS50 series rugged Android touch computer is now providing the option of mid-range 2D imager. The RS50 supports various data collection of 1D/2D barcodes, RFID, and NFC applications. Together with new update, the option of mid-range reader makes RS50 barcode capture in the warehouse effortless and further optimizes the operation. 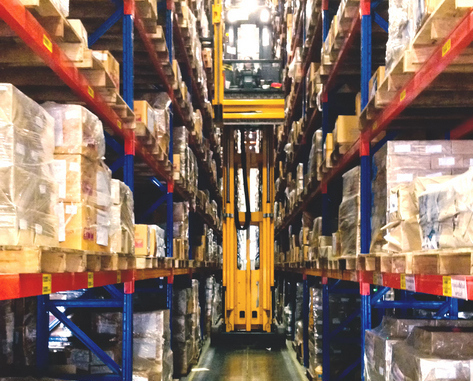 Workers can easily scan a barcode without getting off from the forklift or climb up and down. RS50 series, which equipped with enterprise functionality and mobility, is designed to provide smarter and more efficient operation for business’ every-day. Check website to learn more. CipherLab Mobile Deployment Suite, CipherLab’s deployment tool which provides mobile computer administrators different options to manage configurations efficiently, according to their needs. In this issue, we’re going to introduce one of the deployment tools in the Suite - CipherLab Android Deployment Configurator (ADC). 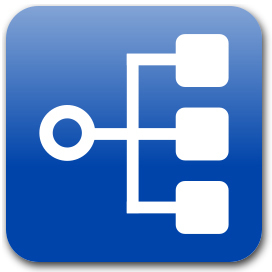 CipherLab Android Deployment Configurator (ADC) is a windows-based configuration tool. It integrates all configurations into one single platform. Settings such as Barcode Reader, Button Assignment, WiFi setting, Terminal Emulation, AppLock, system settings, etc. are accessible from this tool. Different settings can be saved in one group and different groups can be made based on different using scenarios. According to different needs or using scenarios, administrators could choose the group of setting they need to deploy the configurations. 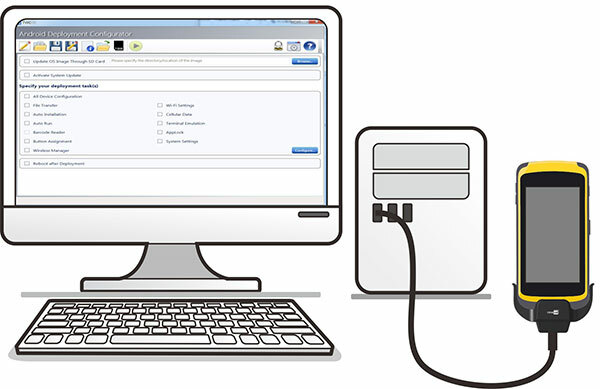 Configurations can be made by connecting USB snap-on cable with the mobile device to PC with ease. You just follow the instruction shown on the PC screen with simple clicks, settings can be completed within seconds. Deployment cannot be any easier. Any other easier way? Yes. Aside from making the configuration on PC over USB connection, administrators have another choice. CipherLab BarcodeToSetting creates user-friendly setup process, significantly shorten user’s device setup time. Users may utilize BarcodeToSetting to export certain configurations in the Android Deployment Configurator (ADC) and generate corresponding 1D/2D barcodes. With simply scans, all required settings are done within seconds. Easy, isn’t it? In next issue, we’re going to explore more about CipherLab Mobile Deployment Suite. Stay tuned. CipherLab USA joined BlueStar’s VARTECH 2018 from Sep 17-18 at Hard Rock Resort in Punta Cana, Dominican Republic, the educational event for all resellers of POS, ADC, mobility, digital signage, IoT and RFID. CipherLab USA shared the latest AIDC technologies, witnessed hands-on product demonstrations, and had a great time networking with industry's top hardware and ISV representatives! CipherLab participated in CeMAT Russia 2018 from Sep 19-21 in Crocus Expo, Russia Moscow. This event featured future technologies of the field of materials handling and warehousing. CipherLab showcased our latest rugged Android devices including RK25, RS50 and 9700 to enhance business productivity. Contents c 2018 CipherLab Co., Ltd. All rights reserved.